Enjoy the luxurious feel of the contemporary interiors of our rooms and suites. 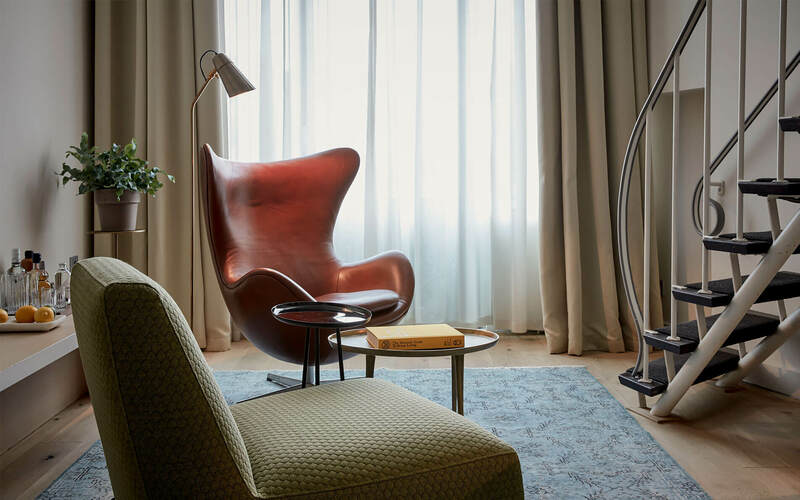 Located in the heart of Amsterdam, the rooms and suites all come with a complementary breathtaking view of the vibrant city centre or iconic Amsterdam canals. 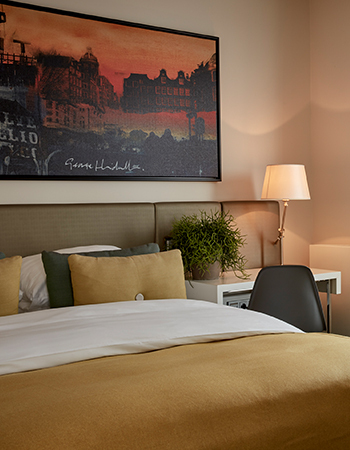 Each of Park Hotels’ guest rooms reflects the hotels fascinating history, which gives the rooms and suites their authentic Amsterdam air. 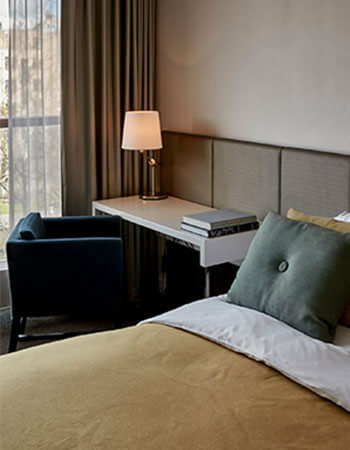 The Superior Rooms are perfect for the traveller who likes to spend their (business) trip in an elegant and cosy room. A stay in an Executive Room comes with a luxurious bed, plush pillows and a spacious and beautiful separate bathroom. 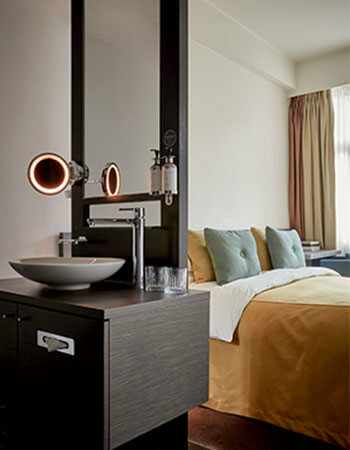 Design furniture, a sophisticated ambiance and luxurious bathroom, what more can you ask for? 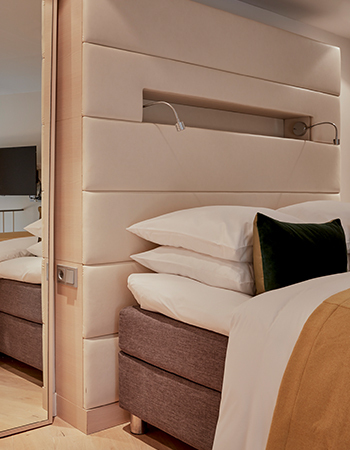 Our Business Suites offer you all the space you’ll need to work hard and relax even harder. Welcome in the Tower Suite. You probably would not mind being ‘trapped’ in this fairy tale suite for a couple of days! All guests can use our round the clock roomservice. Our professional team seeks to surprise and delight you at every turn to ensure that your stay is luxurious and welcoming. 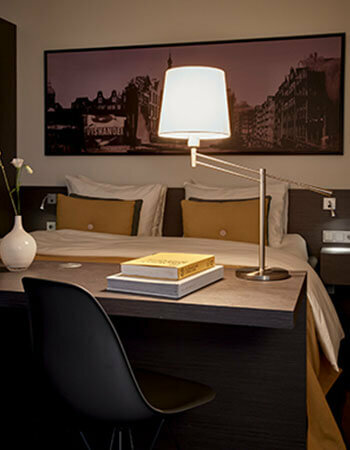 At Park Hotel, you are guarenteed to experience the city vibe. 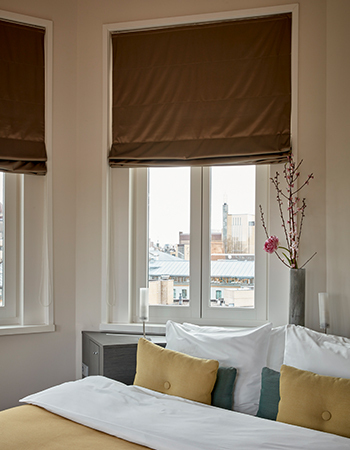 Located in the heart of Amsterdam, all rooms and suites come with a complementary breathtaking view of the vibrant city centre, Vondelpark or iconic Amsterdam canals.